A car blog posted shocking photos from a fiery accident involving Tesla's Model S sedan this week. Tesla CEO Elon Musk took to his blog Friday to defuse a fiery situation: shocking online images from an accident involving its Model S car. 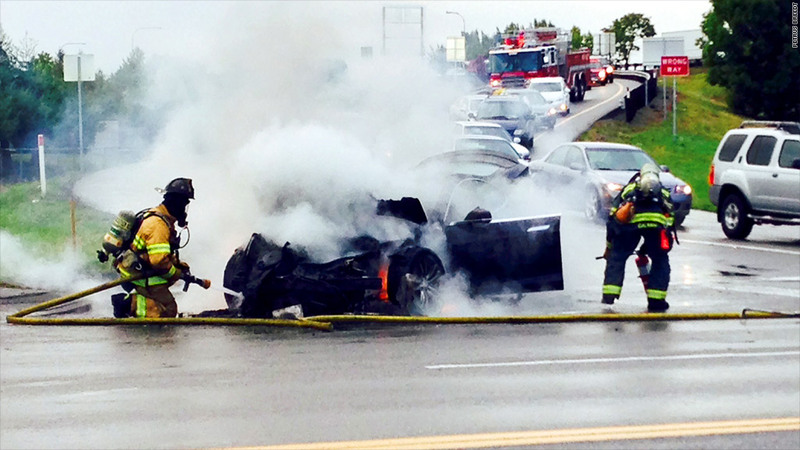 Auto blog Jalopnik posted photos and videos of the Seattle-area accident on Wednesday, showing an electric Tesla Model S engulfed in flames. Tesla released a statement with scant details shortly after the incident, which the driver survived without injury, was made public. Musk's 560-word post explained the accident in his usual painstaking detail. He said the cause of the accident appeared to be a piece of metal that fell off of a semi-trailer and struck the Model S.
He said the metal piece "caused a powerful lever action as it went under the car." Only a force of 25 tons would have been strong enough to punch the three-inch hole in the armor plate at the base of the Model S, he added. The fire started in the front battery section and was contained to that area, Musk wrote, adding that the flames didn't enter the passenger compartment. Musk also tried to reassure his readers. "There should be absolutely zero doubt that it is safer to power a car with a battery than a large tank of highly flammable liquid," he wrote. The post came out just a few minutes before the close of trade, but Tesl (TSLA)stock added half a percent after it was published. Tesla closed 4.4% higher on the day. The stock had slumped more than 10% between Wednesday and Thursday, hit by both news of the accident and a handful of negative analyst reports. Musk also enclosed a copy of emails sent between Tesla sales chief Jerome Guillen and the driver, Rob Carlson. 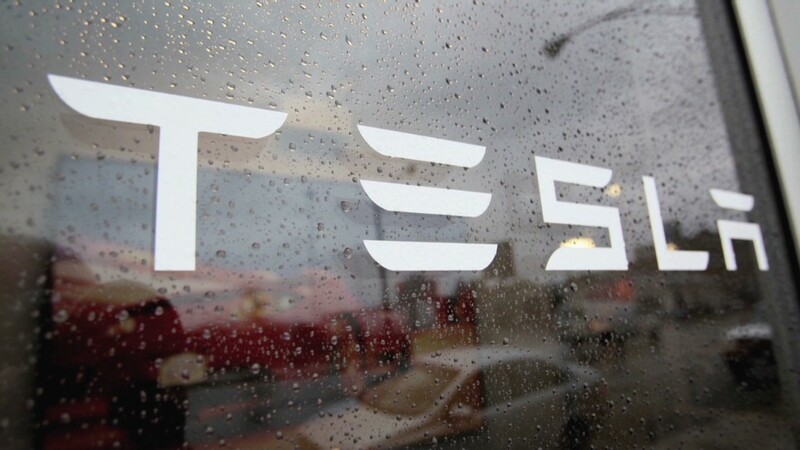 In the email sent on Thursday, Guillen expressed concern for Carlson and said Tesla's review so far revealed the "Model S performed as designed by limiting the resulting fire to the affected zones only." Carlson said he agreed with that assessment, and that he remains a supporter of both Tesla and the Model S itself. He added that he is a Tesla investor and said he felt the Model S "performed very well under such an extreme test." "I guess you can test for everything," Carlson said, "but some other celestial bullet comes along and challenges your design." Despite Tesla's tough week, shares are up an incredible 434% so far in 2013.